Never rent a heavy machine again! 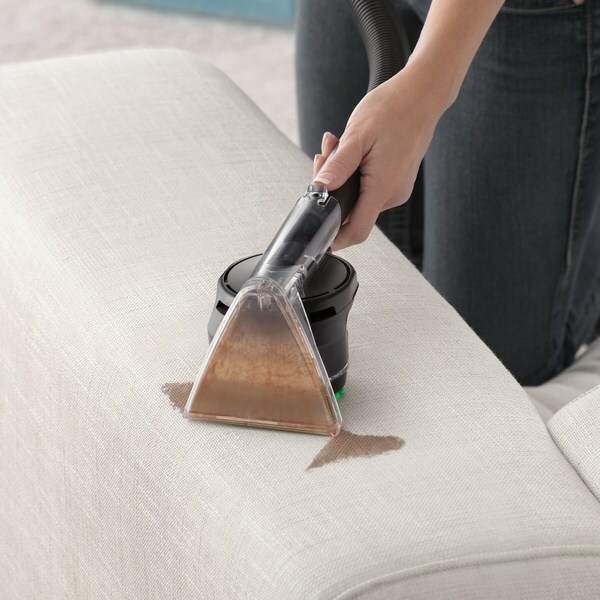 Hoover® SpinScrub® rotating brushes groom carpet fibers from all sides to lift away dirt and grime, so you can deep clean carpets and upholstery any time you need to. Pull the trigger on stubborn stains by applying extra detergent with Clean Surge. Includes 16 oz. Bottle of Hoover Deep Cleansing Carpet & Upholstery Detergent. 1. Remove Recovery Tank and check for debris on screen. 2. Check to insure that the handle is in the up position. 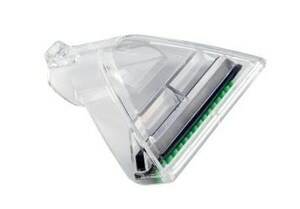 This model is designed with a valve that shuts suction off when the handle is lowered all the way to the down position. The valve arm is actuated by the handle. Check for a stuck or broken valve. If this checks out, check the motor. Suction at this inlet should measure approx. 55” of water. 3. Check to insure recovery tank is properly seated and is not warped or damaged. 4. Check to insure that the Tool Door is closed and not damaged. Also check the condition of the seal. 5. Check for suction at tool door opening and again at the nozzle opening. 6. Lower Handle and check the duct that runs from the Hood back to the suction Hose. 7. Check for damaged or missing Front Nozzle Plate. Properly assembled. assembly is outlined in the owner manual. 8. Check and replace if damaged.